I'm sorry, but I just do not agree with all the educational authorities who say that cursive is not important for kids to learn. Many schools have removed cursive handwriting from their curriculum. But not in our house. I write in cursive, so does my husband, the kids grandparents also. If they want to read a handwritten note or write a handwritten note they really need to learn cursive. 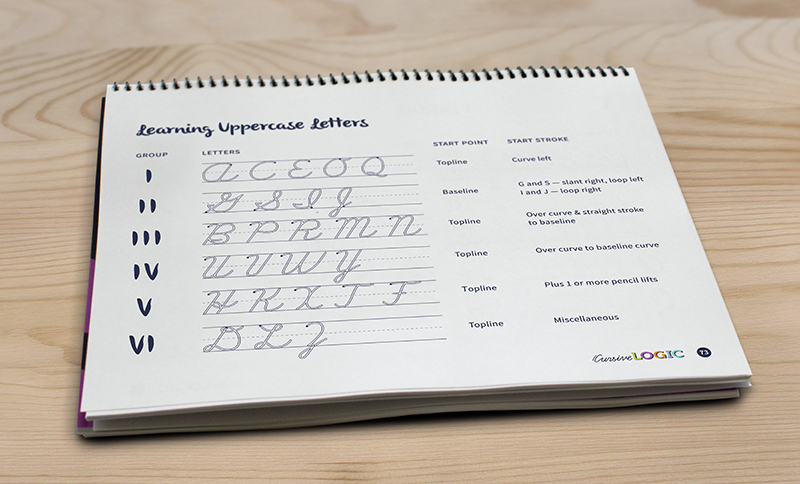 I require that the kids learn how to write cursive and read it, whether they use it on a regular basis or not. 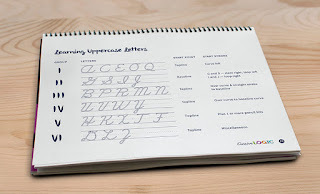 Well it's Lydia's turn to work on her cursive handwriting, so I was very excited to get an opportunity to review a new CursiveLogic Workbook program from CursiveLogic ($29.00). CursiveLogic Workbook (for ages 7 and up) is a new all-in-one program that makes teaching your child cursive handwriting very easy to do. 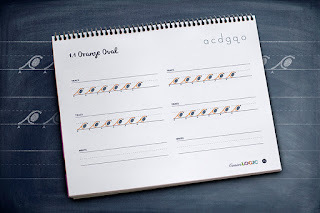 The workbook includes both the student workbook, as well as the teacher's manual to help you explain why they need to do specific strokes in a certain order. 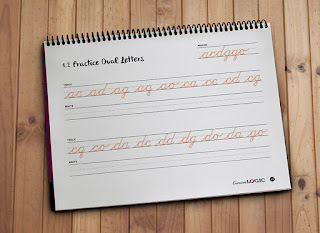 CursiveLogic Workbook has the unique approach that encourages the why of creating each letter while writing in cursive, instead of just memorizing strokes. 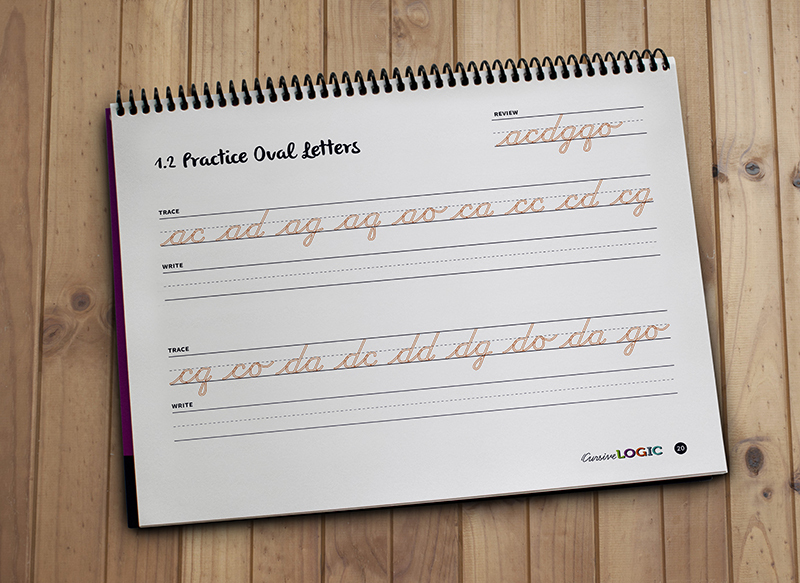 The CursiveLogic Workbook starts the kids out in learning letters in order of shape, instead of learning them alphabetically. What I really liked was that Lydia was learning how to connect each letter and stroke from the first lesson on in this book. Each day she can trace and then practice writing them on her own. I really also liked the amount of tracing that was involved. Some days, I would have Lydia go through and trace with her pencil and then the day I would have her trace again with one of her gel color pens. Then the next day, I would have her attempt writing on her own. Most kids do not need this approach, but She does because of her hand tremors and visual perception delay. Sometimes it is very hard for her brain to make her hand write what she wants it to. So why buy the CursiveLogic Workbook instead of another system. 1. Students can learn a verbal chant that helps them to remember the path their pencil needs to make as they are forming the letter groups. This helps students with their motor skills and helps both visual and auditory learners. 2. Each section is grouped together to learn letter shapes easier. Lydia has been working with the CursiveLogic Workbook a couple weeks now. 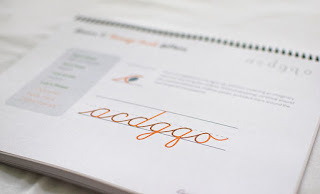 She has learned more in the few shorts weeks that she has been using it, than she has with any other cursive writing program we ever used in the past. Her cursive handwriting has made HUGE improvements. In fact, we will be ordering Caty's copy to start with her in a couple months. I really do like how it works for all learning styles and attention spans. 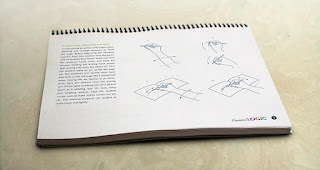 It's also such an added benefit to have the teacher's notes included in the workbook, because that's one less book I need to purchase, have on the shelf or worry about packing while we are traveling. It's very easy to use. I just wish we would've had this program a few years ago when Joey was learning cursive handwriting. 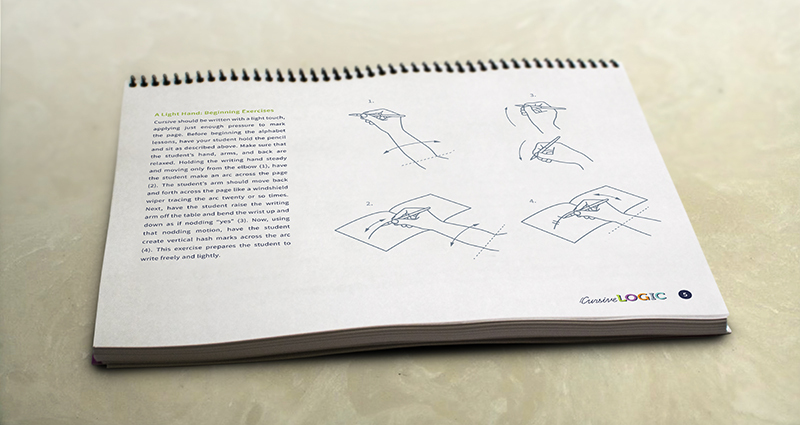 You can read more about how the CursiveLogic Workbook works by visiting the How It Works page at the CursiveLogic website. 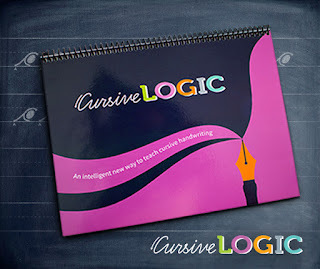 Several members of the Schoolhouse Review Crew were given the opportunity to try out the CursiveLogic Workbook by CursiveLogic. See how they used it in their homes and what they felt about the experience they had while using CursiveLogic.